Since it is that time of year, I figured we all may as well get vegan with it. 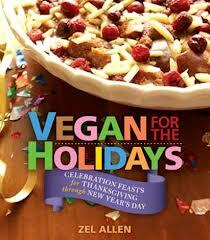 In with the plant-based holiday goodies and out with the dead animals, is the new motto. So what better book for us to be indulging in now than, Zel Allen’s ‘Vegan For The Holidays: Celebration Feasts For Thanksgiving Through New Years’. Jam packed with so many amazing recipes, you can rest assure you nor your guests and/or family will not miss the meat. At all. Vegan For The Holidays offers up appetizers, desserts, side dishes and main courses, most without added fat and all full of flavor. A recipe for vegan pie crust? Check. Vegan Mac and Cheese? Check. Yummy salad dressings? Check. This book is literally a one stop shop for all your holiday cooking needs. ← Meatless Monday’s : Now It’s L.A’s Turn. Hi my name is Randy. I am not a true Vegan, though I like Vegetable and fruit dishes. I just included now a vegan file for vegan recipes. I like your blog and will follow. Also I will let other vegan persons and bloggers know about you. I am over at http://savorthefood.wordpress.com/ . 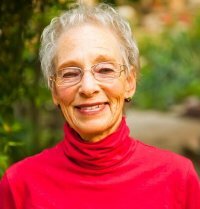 Also here is another Vegan blogger http://thejoyfuleater.wordpress.com/ . I also reffered her to your blog also. Thank you for the 4-1-1 and the referrals, I will defiantly stay connected with your blog and the Joyful Eater.